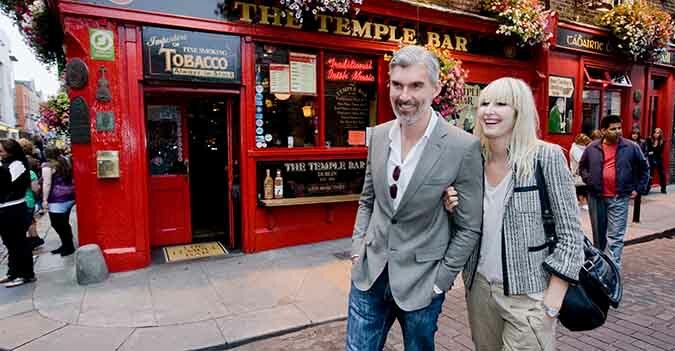 Your tour begins in Dublin Airport with a transfer to your hotel (for arrivals prior to 11am). 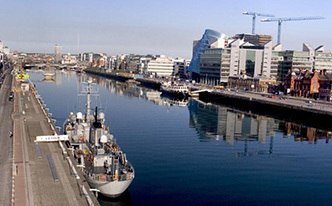 At 2pm, meet at Hotel reception and begin your sightseeing with a panoramic tour of Dublin City. 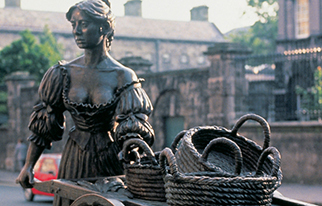 Visit the National Museum of Decorative Arts & History where you catch a glimpse of how Irish people in the past lived. Recreated rooms show typical furniture styles from the 17th century through to the high style of the 19th century. Of particular interest to you may be the textile exhibition ‘The Way We Wore’ which displays typical Irish clothing and jewellery worn from the 1760s onwards. After your visit, the remainder of the day will be free for you to explore the city at your leisure before meeting back at the hotel for your welcome dinner. Overnight in Dublin, Dinner, Bed & Breakfast included. 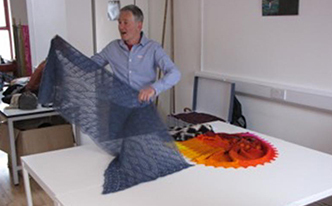 Another day in Dublin starts with a trip to the Constant Knitter where you will meet a local craftsperson for a demonstration and informal chat about their craft topic which will either be knitwear design or Irish Lace crochet depending on designer availability. 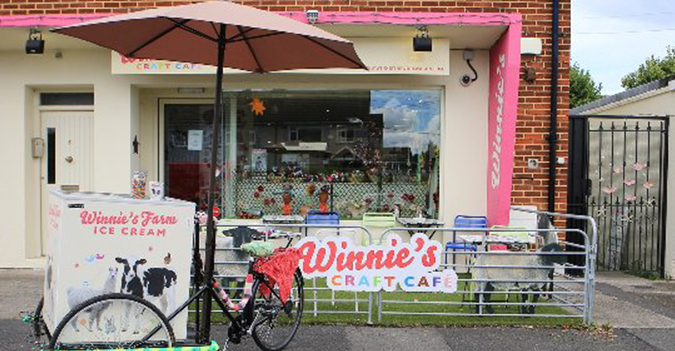 After your visit, travel the short distance to Winnie's Craft Cafe, an oasis of calm and colour for those interested in knitting, crochet and beading. Here we meet resident knitting teacher Pauline Gallagher who will give you short knitting with wire workshop. All materials will be provided and by the end of the class you should have knit yourself a nice wire leaf pendant which you can take home with you as a souvenir of your time here in Ireland! The craft shop will also be open which stocks a wide range of yarns, books, patterns and accessories. 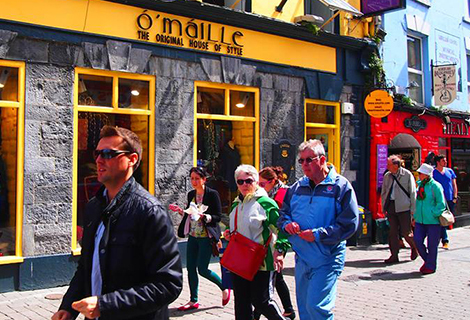 After lunch (included) board your touring coach and travel to the vibrant city of Galway and check into your hotel. Overnight in Galway, Dinner, Bed & Breakfast included. Set off for a tour of Connemara this morning. 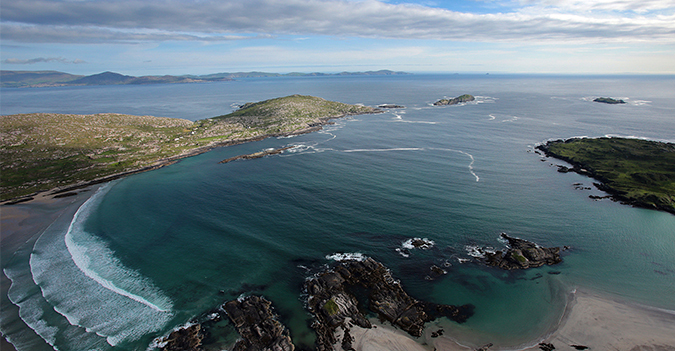 Situated on the most Westerly part of Ireland, Connemara is one of the most beautiful unspoilt landscapes around. 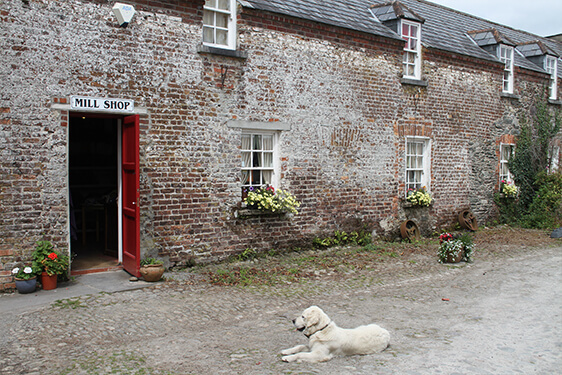 Your first stop will the Spiddal Craft & Design Centre where you will enjoy a demonstration of traditional Irish willow basket weaving techniques and an introduction to modern basket designs with traditional basket maker, Ciaran Hogan. 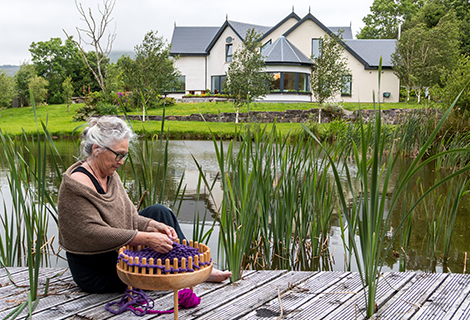 You might also enjoy visiting other craftspeople at the centre including traditional hand weaver, Máíre Ní Thaidhg. 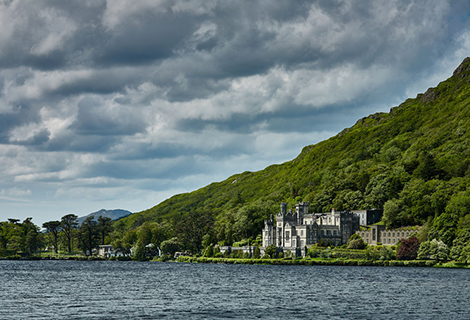 Stop also at the famous Kylemore Abbey which is one of the most visited attractions in Ireland. Thousands visit Kylemore to see the outstanding Abbey and to experience the natural beauty of Kylemore’s Woodland and Lakeshore walks and Victorian walled garden. Finally visit Glen Keen Farm where you will enjoy a sheep herding demonstration followed by home baked scones and tea or coffee. Return to Galway where the evening is your own. You might decide to head into town and catch a traditional Irish Music session in any one of Galway’s many pubs or simply relax in your hotel. Overnight in Galway, Bed & Breakfast included. This morning enjoy an intensive Knitting Workshop with one of Ireland’s best known Aran knitters and designers, Mrs. Anne O’Maille of Ó'Máilles of Galway. 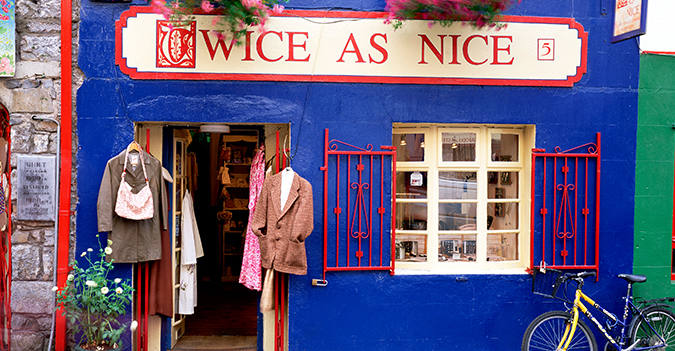 Established in 1938, this shop became famous in the 1950s for outfitting the entire cast of the film The Quiet Man and has done a fabulous business ever since in Irish tweeds, knitwear, and Aran knits. 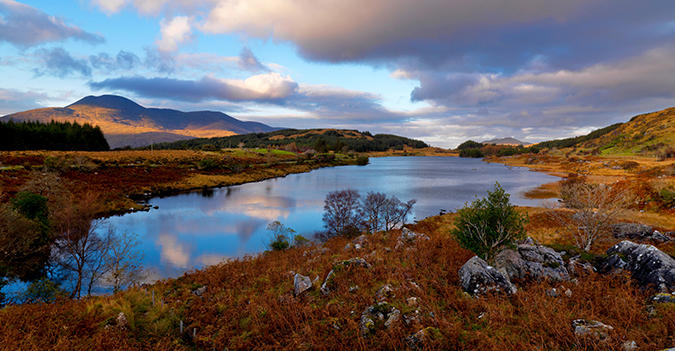 The remainder of the day will be free to explore Galway and its surrounding areas at your own pace. Overnight in Galway, Bed & Breakfast included. 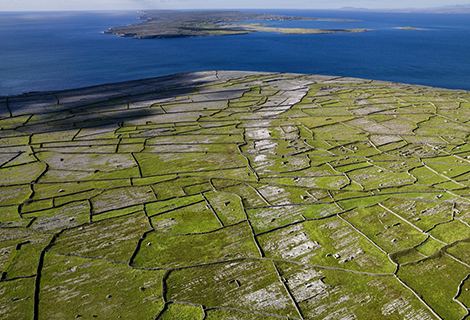 Depart your hotel in time to get the morning ferry to Inis Oirr (Inisheer), one of the famous Aran Islands located at the mouth of Galway Bay off the west coast of Ireland. On arrival you will be collected by your Aran Island Knitting Instructor Una McDonough and taken to Café Una where you will be welcomed with tea or coffee and scones. Enjoy a Knitting Workshop where you will learn traditional methods and stitches the Aran Island way. In your class you will learn the Sharry Chain Link Stitch. The Sharry family, like many of the island families, has a long standing connection with the sea and the women of the family celebrate that connection in their choice of stitches when they knit traditional Aran sweaters. After some time to enjoy the Art Exhibition at the centre take a guided tour of the Island. This afternoon check into your B&B accommodation with time to relax and get to know your hosts. Your hosts can cater for most dietary needs, so please be sure to let us know of any special requirements in advance of travel. You will be collected this evening and taken to a local restaurant for a sumptuous meal. 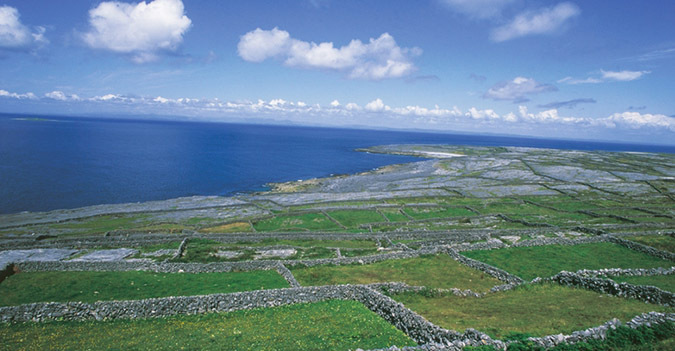 Overnight Inis Oirr, Lunch, Dinner, Bed & Breakfast included. Today enjoy a baking demonstration of island brown bread and scones along with home-made butter making. Following the demonstration enjoy tea or coffee with the scones! Next participate in a spinning & dying workshop using local plants & lychens in the traditional manner. This will continue into the afternoon with a lunch break before you will enjoy some local traditional music before dinner. 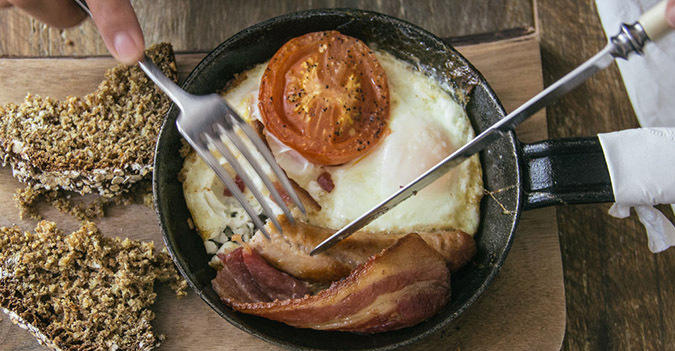 This evening return to your B&B accommodation and after having some time to relax, you will be collected and taken for another delicious meal. 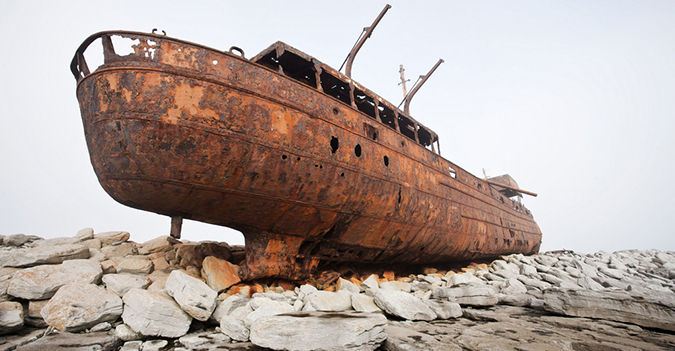 Overnight Inis Oírr, Lunch, Dinner, Bed & Breakfast Included. 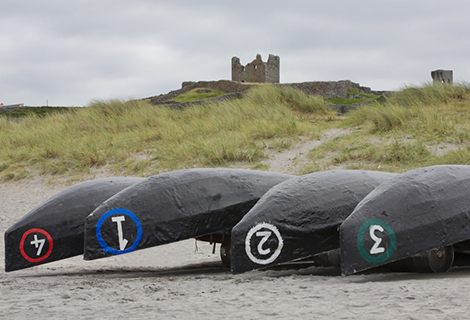 Check out of your accommodation after breakfast and take the early morning ferry directly to Doolin in County Clare. 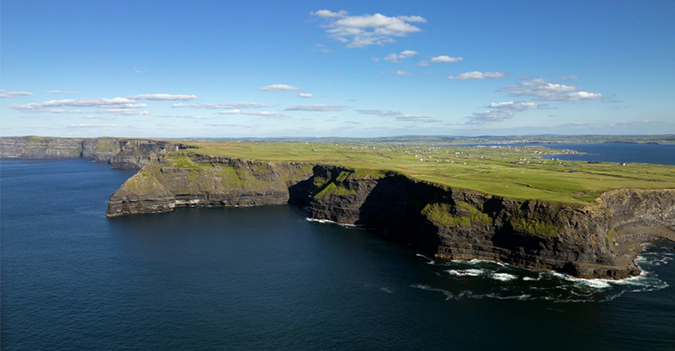 Take a scenic drive around Clare to the Cliffs of Moher to admire the astonishing views. Travel onward to Kerry visiting Kerry Woollen Mills along the way. This 17th century establishment has been crafting fine fabrics and yarn from wool for over 300 years and on your tour, you will see truly skilled craftspeople at work. Afterwards, check into your hotel in Killarney where the remainder of the day until dinner will be free for personal sightseeing. Overnight in Killarney, Dinner, Bed & Breakfast Included. 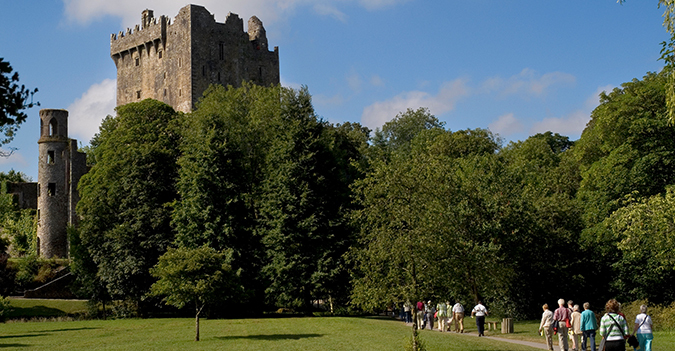 Check out of your accommodation and travel Cork to visit Blarney Castle & Woollen Mills Store. 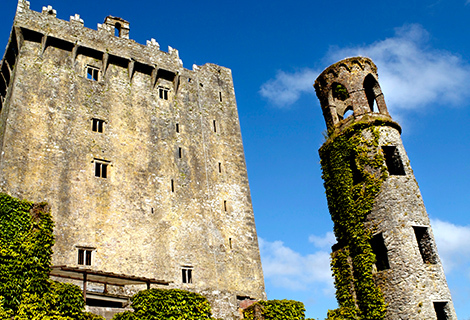 Cormac MacCarthy, a great Irish chieftain constructed Blarney Castle nearly 600 years ago and since then this remarkable fortress and its ‘stone of eloquence’ has been attracting thousands of curious visitors every year.